Superabrasive introduces a new line of LAVINA® pre-separators, specially designed for work with LAVINA® vacuums and machines. 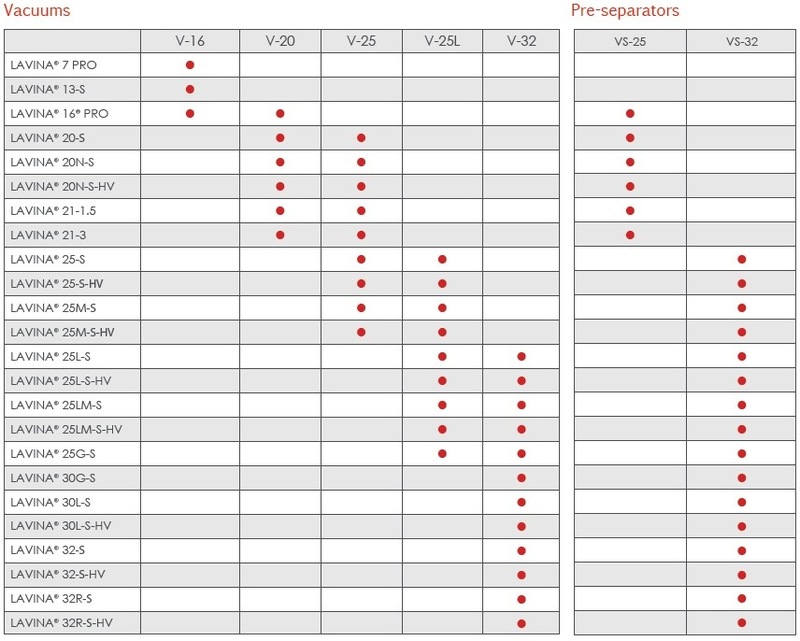 Choose the Lavina machine you run (to the left of the graph), choose which dust collection system you are using or should use (V16-32) and follow the graph over the the right to determine the correct pre-separator for your job. Click the button below to add the Lavina VS-25 Pre-Separator to your wish list.